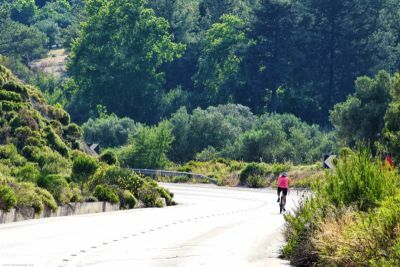 Cycling Seeing the island at your own leisure on the back of a bike is an unforgettable way to experience Rhodes. 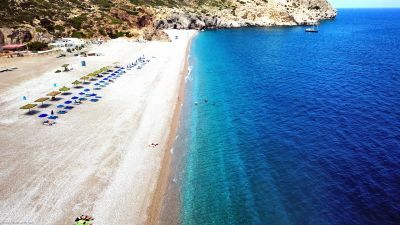 Vlycha beach is big enough not to become crowded, but not too immense and appeals particularly to people staying in Lindos who want to escape from the crowded central beach. Little children playing with their buckets in the sand, families from Lindos who are on first name terms with the man renting out umbrellas, foreign tourists from the hotels nearby. On the slopes around, and at the centre of the seafront, stand the largest hotels in the area. The quietest part of the beach is at the right-hand end. You will find restaurants and all the amenities you expect on an organized beach. 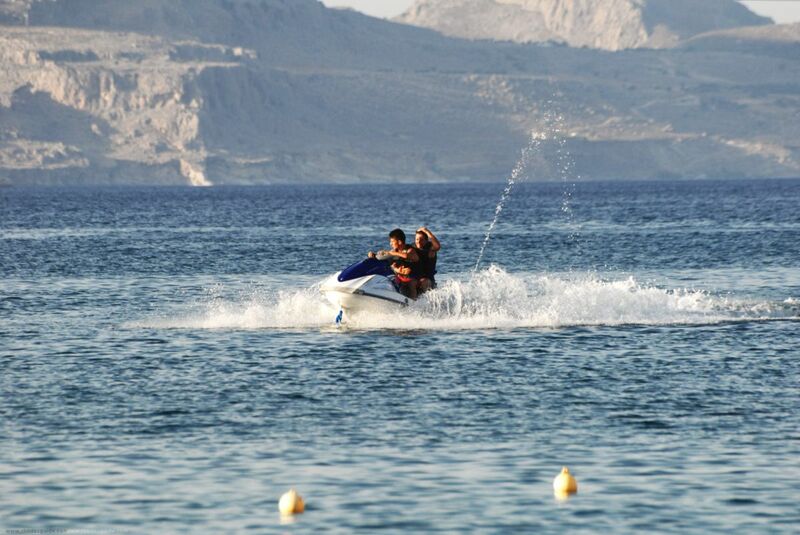 Water sports are also available. JUST GO AND HAVE A LOOK AND SWIM. Just a great great beach! 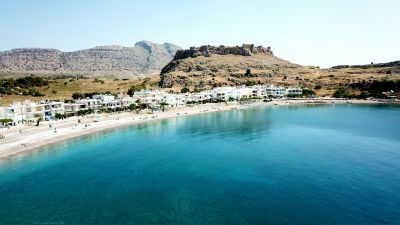 This is a brilliant beach for anyone wanting to escape from the business of Lindos and the surrounding area - there are 2 supermarkets and 2 giftshops and a few apartments as well as hotels. 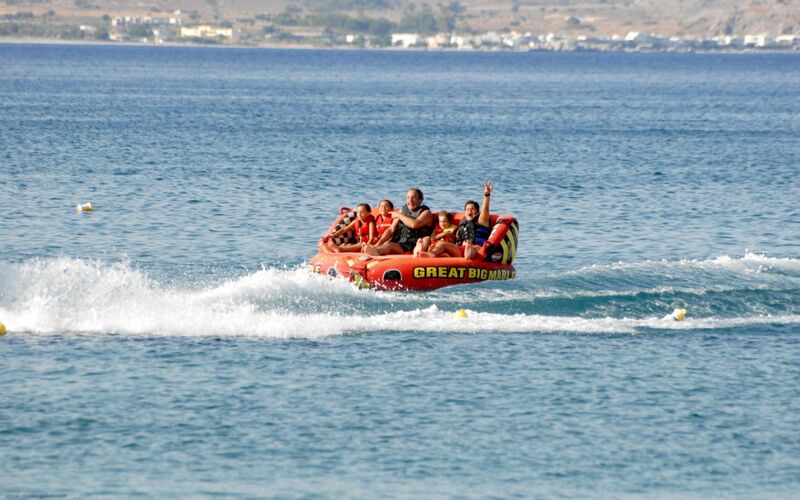 There are also 2 greek restaurants which serve excellent greek food, and a rent-a-car and motorbike place. For those staying in hotels there are a few swimming pools but most people enjoy the sea which is usually very calm, and the beach is sandy.There is also a watersports where you can waterski or go on the rings or the banana, and you can also rent pedalos.Its also a popular beach for the locals to visit so it gets busy on a sunday! 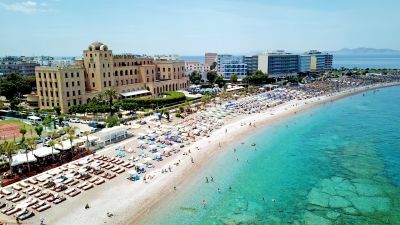 Being one of the most popular Greek beaches among photographers, the beach of Rhodes still retains something of its cosmopolitan aspect from the 70's, and is one of the most visited beaches on the island. The attractive little bay of Haraki offers family atmosphere. It's mainly visited by tourists renting rooms nearby, but families of local people also come out with their umbrellas and settle themselves on the no-charge section in the center of the beach.